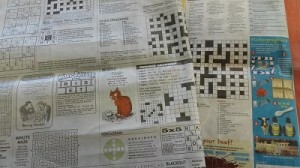 Enjoy a relaxed hour and play crosswords and Sudoku from over 22,000 newspapers across the world, from PressDisplay. Also read the latest news from newspapers all over the world with PressDisplay, free for Wellington City Libraries members. Click here to start.